If you find yourself reading this article, chances are you have a gaming PC and you are a gamer. You also know that gaming is serious business, literally. In fact, the game industry revenue is expected to hit more than $137 billion in sales for 2018, and it is expected to increase annually. While there are many types of gamers who share the pie in the gaming industry (desktop, mobile, console), it is known that PC gamers are a different breed from the rest because those who have been one for a long time take pride in knowing the ins and outs of their device. They even learned how to build their custom gaming rig because of their love for all things desktop computer. Mobile gamers are, by far, the biggest demographic in the industry because smartphones are accessible and games are usually easy and can be played anywhere. Console gamers come second and only need their gaming device and a TV to be able to pay. They may occasionally need an extra controller or two and maybe some headphones to communicate. Most PC gamers, especially the serious ones who put most of their time and effort to upgrade their rigs, apply aesthetics to the battle station, and beef up their hardware, may need additional accessories to be on top of their game. This may be why the market for PC gaming accessories is booming nowadays. Manufacturers have come up with new devices that span beyond the mouse, joystick, and steering, which are commonly used in some games. Apart from accessories, there are must-have items that serve to enhance the gaming session and experience of hard-core gamers. Check out this list essential items for PC gamers. Most avid players will tell you that investing in a good gaming headset is worth the money. A gaming headset will offer superior sound and audio quality, as compared to speakers. This is very useful in games that rely on players to listen for enemy footsteps, gunfire, and other cues. When a game requires intense concentration, the last thing you want be is to be distracted by random noises. Some gaming headsets are capable of blocking out external noise to ensure that it limits disturbance in-game and gives you an immersive gaming experience. These devices also have built-in microphones as well, allowing gamers to communicate with teammates online. Any device that uses electricity is bound to generate heat because of the power that is needed for it to function. In a computer system, the CPU that houses the video graphics card, processors, and other internal electronic chips will inevitably produce heat, but there is an ideal temperature threshold that should be maintained to prevent overheating. If the heat is not dispersed, the computer system will malfunction, shut down, or become permanently damaged. While most computer systems have built-in cooling systems, some computers, especially gaming rigs require, a lot more cooling power. That is why some PC systems require an extra cooling system, like having extra fans or a liquid cooling setup exclusively dedicated to their gaming rig. Air cooling is thought to be the most common way of removing heat from inside the CPU case. It uses a variety of fans and blocks of metal called heat sinks attached to the CPU and/or graphics card in order to rapidly cool these components. The reason it is the most common is that it is cheap and not all PC gamers have hard-core, heavy-duty rigs that require liquid cooling. Liquid or water cooling is a special kind of cooling system that is usually seen in custom gaming rigs in computer shows, gaming enthusiasts, and even pro gamers. It uses a water block to carry heat away from the components and then circulates to a radiator where the heat is cooled. Most PC enthusiasts with liquid coolers prefer this method because it is much quieter. Additionally, builders take advantage of the fact that liquid cooling can be used to add aesthetics and color to their rigs. However, the downside is, it is expensive and challenging to maintain. The mouse and the keyboard are the most common gaming peripherals that are essential to any computer. Upgrading your gaming equipment can change the way you play because it can turn you more efficient in the game and thereby improve your overall performance in a game. It can be expensive to go for high-quality peripherals, but this is not to say that having expensive gaming gear will make anyone a better gamer. Additionally, a gaming mouse and keyboard are also beneficial for work because they are capable of automating tasks for you because of programmable hot keys. So even if you’re not that into gaming, switching to gaming peripherals will increase your overall productivity. And lastly, while these products can be expensive, there are midrange ones that won't break the bank. What matter most are durability, ergonomics, and customizability. 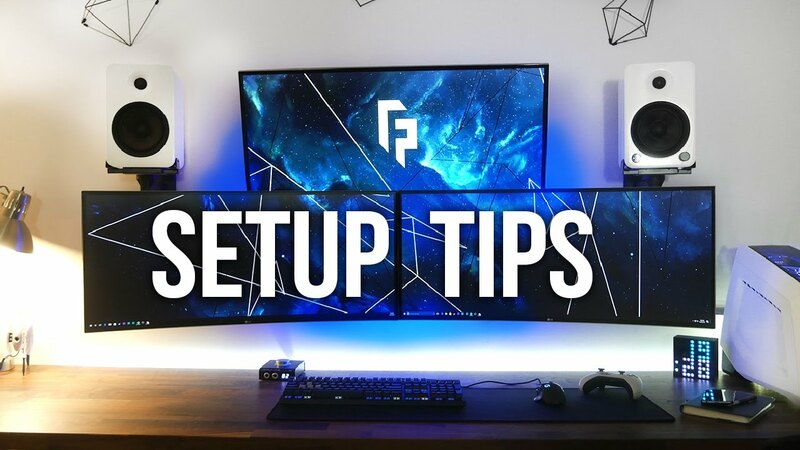 The market is saturated with a lot of PC gaming accessories from a lot of brands, and although the choice can be confusing, the first step to take is to do your research. Remember to identify what you need, and look at reviews as well. What must-have PC gaming items do you swear by? Share what you think in the comments below.